Harness the power of our Health & Safety Certification and educate every member of your team to ensure safe working practices and environments – protecting your clients, your team and your business. We want everyone to benefit from our outstanding education. That’s why we’ve reduced the cost of selective courses across our foundation category – making learning with us even more cost-effective. We revolutionise hairdressing and barbering education, solving your training problems with flexible online CPD courses – improving skills, raising standards and reducing costs. We’re the world’s only online hairdressing and barbering training resource endorsed by VTCT and ITEC. Download your CPD certificate of recognition on completion of your course. MHDPro’s foundation hairdressing courses are specifically designed for those starting out in hairdressing or for those returning to the industry after a prolonged break. MHDPro’s intermediate hairdressing courses are specifically designed for those working in the hairdressing industry, either as a stylist, colourist or tutor. MHDPro’s advanced hairdressing courses are specifically designed for experienced hairdressers, whether as a stylist, colourist or tutor. Learn how to do ombre and dip dye colours in this online step by step hairdressing course for CPD. Learn how to cut women’s layered hairstyles on long hair in this online hairdressing course. Learn to create romantic bridal hairstyles and develop your wedding hairdressing skills in this online hairdressing course. 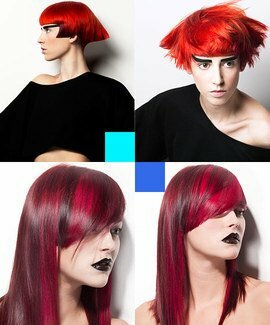 Learn creative hairdressing skills using this advanced online hairdressing course focusing on red hair. 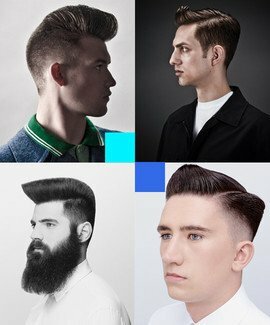 Learn how to cut men’s haircuts with a quiff, including flat top haircuts, pompadour haircuts and vintage men’s hairstyles in this online barber’s course. Help your tutors stay on top of their CPD with online courses endorsed by VTCT and iTEC. Our College, Academy and Tutor Programme has your requirements at its heart - high quality, affordable CPD recognised by a leading awarding body, with courses to suit every tutor's individual requirements. From the makers of MHD comes MHDPro, bringing online hairdressing and barbering courses with an exclusive VTCT and ITEC endorsed CPD Certificate of Recognition on completion. Our online hairdressing courses are the only courses in the world to be endorsed by VTCT and ITEC, and are perfect for all hair professionals' Continuous Professional Development. MHDPro courses cover a range of hairdressing and barbering skills and techniques. 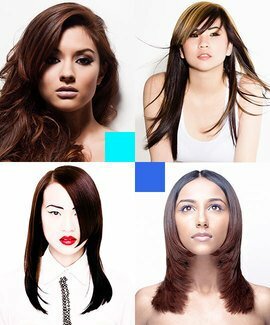 Each course consists of five video tutorials from some of the most respected educators and hairdressers working today. 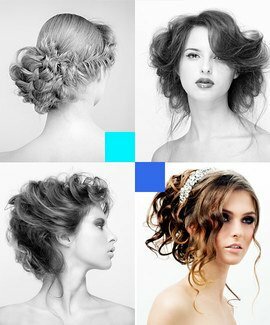 Each video tutorial builds on the last as you develop your skills and confidence until by the end of the course you attain mastery of the techniques and hairstyles. 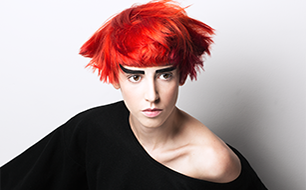 Our courses cover hair cutting and colouring tutorials, styling and dressing hair courses for many skill levels. Whether you are starting out in your career as a hairdresser or barber or you are an experienced hairstylist, tutor or stylist looking to improve their skills, learn new hairstyles or gain inspiration, our online courses allow you to proceed at your own pace and in your time. 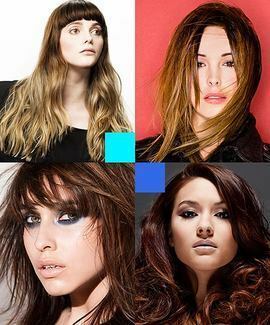 Our in-depth step-by-step videos and accompanying PDFs are full of advice and tips to help you achieve full understanding of the styles and techniques, which you can then use in your salon to keep your clients coming back for more. MHDPro is the perfect tool for independent hairdressers and barbers, salons and salon groups to receive the best training at an affordable price and at times to suit you. Browse our online hairdressing courses now and continue your education today. I have been wanting to find a place where you can learn online, and then I found MHDPro. I have learnt so much - from the way you stand to the way the sections are done – it all matters. I love the step by step learning. Once I've mastered a cut or a technique it's mine for life at a price that could not be matched anywhere else. Thank you MHDPro.com. Your value is immeasurable. The MHDPro online hairdressing training courses and barbering courses have been developed by the World’s leading producer of hairdressing e-learning resources, MHD Productions Ltd. MHDPro has been developed to meet the Continuous Professional Development requirements of hairdressers, barbers, tutors, salons and salon chains at all levels.